Q. 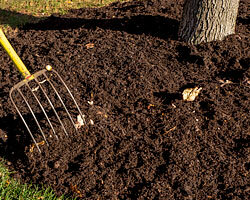 Is there an all-purpose mulch I can use throughout the different areas of my garden? Q: I would like to add stones around several large trees on my property. Is this a good choice?